BMW(body mind wellness)Homeopathy is a one stop solution for all your health needs with homeopathic expertise. BMW Homeopathy is founded by Dr.Sheetal Mehta,homeopath,gold medal, experienced qualified homeopath. ARE YOU DEPRESSED? YOU NEED HELP! YOU NEED COMPASSIONATE CARING MEDICAL TREATMENT! Feeling of restlessness and anxiety , constant worry etc related to a job or work not being done the right way, or not being done on time, or regarding health, or could be simply vague, not related to any attributable cause. Changes in appetite, weight, mood, and sleep.Frightful, scary or anxious dreams. Sleep could be decreased or could become more as well. Constant feeling of low stamina, tiredness,exhaustion and fatigue. Low energy. Psychomotor agitation or retardation: the person may be either agitated or restless, or physically slowed down in their movements. Brain fag: inability to think, concentrate or take decisions. Thoughts of death: a depressed person may have frequent thoughts of suicide or death, though they may or may not have any plan to carry it out. There are many aspects of depression. It affects your lifeon all levels, physical and mental, career, job, family, home, and relationships. A proper treatment would target at all of these aspects. Just treating or focusing on the symptoms and their elimination IS NOT ENOUGH. One needs to look beyond and address the internal causes. While some symptoms may be attributable to external causes, but depression is not a extrinsic but an intrinsic disorder. Hence care in the form of compassionate medical treatment is essential. Medicines are a important part of the treatment, though many people would not consider it important to seek and take treatment. However, medicines improve your mood, treat your symptoms and make you fit for everyday life. Homeopathic medicines do not have any side effects and they are safe for your body, brain and mind. It is important to note that depression is treatable 100%. Apart from medications, your doctor would help you with counseling, and other forms of therapy like dance therapy, music therapy, drama therapy,and other creative pursuits suited to you after assessment. Negative thoughts are helped by CBT (cognitive behavioral therapy) by counseling guided by your doctor/counselor. COPING UP AND SELF HELP. Join a support group. It could be online or offline. Relax. You could turn to yoga or meditation for relaxation too. Eat your meals on time.eat healthy balanced diet with lots of water, salads, fruits, and veggies. Exercise, walking, jogging, cycling and many other forms of exercise could be incorporated into your routine. Forgiveness can help depression. Holding on to anger about past events can contribute to depression. Forgiveness can help us heal and move forward, but the way we often define forgiveness may prevent us from taking this important step. Do we really have to forget what happened and act like things are okay? To enjoy the benefits of forgiveness, however, we don't have to take it that far. A healthy lifestyle can help treat depression to a great extent. So, do not despair. Help is at hand. Do not be alone anymore. Homeopathy is here to help! some helpful tips for common cold and homeopathic treatment and medicines . 1. check details of your symptoms, what happens when you say or feel you have a cold?for eg..sneezing, watery eyes, discharge from nose etc. Be as detailed as possible. note down the color of the discharge, whether thick thin watery etc. 2. look out for aggravating factors. for eg does it happen when you go outdoors?or does it happen under a cold draft of air or airconditioning. or does it happen by eating cold things, and so on. 3. get yourself checked for eg like any swellings, or rashes etc. 4. simple blood tests like cbc will help to evaluate . However, a physician may want to do more tests depending on the physical examination,history and systemic examination. 6. keep a healthy balanced diet at all times. 7.A regular exercise routine like simple jog/walk , and preferably yoga will help your system. 8. increase your immunity power and stamina to have a preventive cover against colds. 9. A cold sounds harmless, however visiting a physician will be the right thing to do since you will be able to find out the root cause of your problem. 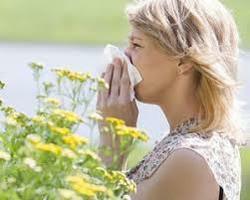 · Most of the colds are viral and could be attended by secondary bacterial infection. Homeopathy tackles both. Can be safely given in children, babies ,pregnancy and the aged. Acne is found to be the most common skin condition of all times. A study revealed that around 80% of the population suffers from acne at some point in their life. It is mistakenly thought to be the disease of teenagers only.However, a significant number of people suffer from acne after their teenage years also. Acne has become as most common skin condition prevailing worldwide. What does this acne mean? What are its causes? How can it be treated?Do home remedies and self help tips help or do more harm than good?what can be done to curb a pimple or acne?what are the things that should not be done?what is the guaranteed cure for acne or pimples? Acne is a chronic and inflammatory skin condition mainly characterized by red spots and pimples on the skin, especially on areas of the face which results into whiteheads and blackheads. It can also be on other areas like the scalp, back ,shoulders,chest.It can result in scars as well. Blocking of pores of skin can result in acne. Acne can occur at any age. Age: It can occur at any age. Teenagers are supposed to be more prone to acne due to changes in their hormonal level. Heredity: Family history of acne can make one susceptible to this disease. Gender: Acne develops more often in males than females. Hormonal disorders: Hormonal disorders can result in acne mainly in women. Hormonal changes: Hormonal changes during menstruation, pregnancy, and menopause increases the risk of getting acne. Medications: Acne can be a result of side effect of drugs such steroids, oral contraceptives antidepressants and antibiotics. Diet: Although food cannot be linked to acne, certain foods such as white grains and sweets can flare up acne. Application of Cosmetics: Use of Oil-based makeup’s, abrasive soaps, hair sprays and hard scrubbing of skin can worsen acne. Environmental factors: Exposure to polluted air, hot weather and oil aggravates acne. Stress: Stress may also contribute to acne. Main signs of acne include the increase in secretion of oily sebum by the skin and results in scarring. Signs and symptoms vary depending on the severity of the condition and also upon the skin color. If anyone feels like having the symptoms and signs of acne, then he should consult a skin specialist physician/dermatologist.The doctor/physician will then diagnose your skin and will check what type of acne you have. 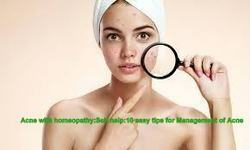 Accordingly, treatment will be started depending on the type and severity of acne. .It should be noted that there is no single fixed remedy in homeopathy for cure for acne since homeopathy is individualized, classical treatment. So the remedy will be selected after constitutional case taking as per the history and symptoms of the patient. However, there are some medicines in homeopathy that are indicated remedies in acne and can be selected if the symptoms match. TEN REASONS AS TO WHY SHOULD YOU CONSIDER TAKING HOMEOPATHIC MEDICINES FOR YOUR HEALTH PROBLEMS. There are a number of reasons you should consider getting yourself and our family and loved ones homeopathic treatments. let us explain you why. 1. HOMEOPATHY is safe, natural system of medicine without any side effects. so why should you consider taking something that you know is harmful, synthetic and could have irreversible, drastic side effects on your body that you arent even aware about?? ?SWITCH TO HOMEOPATHY INSTEAD! 2. HOMEOPATHY has treatments and medicines for ALL diseases and conditions. so why not take homeopathy as a great option for you and your familys health.Western medicine is good for acute care; the system has proven its efficacy in life saving emergency situations. The prevention and treatment of chronic diseases is a challenge that modern medicine continues to grapple with. The other aspect is that modern medicine largely helps in providing symptomatic relief which in turn may not necessarily lead to enduring treatment of the health condition. 3. HOMEOPATHY has a PERMANENT CURE. A homeopathic doctor will identify the root cause of your problem, and direct the treatment and medicines to work on the roots,instead of just the symptoms. Hence it ensures that your problem is catered to from its main reason as to why it actually occured. 4. HOMEOPATHY corrects your immunity, making you fitter, healthier and stronger, so now you can shield and protect yourself from any future diseases, major and minor. 5. HOMEOPATHY also acts as preventive medicine, making you fit for work, a healthy lifestyle, happy relationships and graceful ageing. 6. HOMEOPATHY is a HOLISTIC form of treatment, tackles you as person , as a whole, so that all existing complaints , major or minor are covered in one individualised , tailormade treatment. 7. HOMEOPATHY has special treatments for allergies, chronic diseases, pschological and psychiatric disorders, gastrointestinal disorders, sleep disorders,skin, hair, long standing and incurable diseases. 8. HOMEOPATHY is cellular medicine, acting on the cells, systems and organs of the body, as well as the psychosomatic axis,making it apt for diseases which are based on emotional causes, psychosomatic disorders, autoimmune diseases, etc. 9. HOMEOPATHIC treatments are cheaper as compared to most other forms of medicine. 10. LAST, BUT NOT THE LEAST,. HOMEOPATHY is FAST AND NOT SLOW!! !we have several patients who have taken our homeopathic treatments and who continue to do so, to confirm that the generally believed notion that homeopathy is slow, is FALSE. TRY IT OUT FOR YOURSELF AND LET US KNOW!!!! !yes, homeopathy CAN BE FAST AND we will always show you the fastest method of cure that would work permanently for you. Any problem pertaining to skin and hair for men and women.Permanent cure with natural medicine and homeopathic medicine without any side effects of chemicals or resorting to costly chemical procedures. Hairfall, hair regrowth, psoriasis, eczema, folliculitis, dandruff, alopecia, thinning of hair.NO hair transplants, only natural medicine. Diet consultation and lifestyle changes advice free with any treatment. Counselling can also be done effectively if required.Detoxification treatment given where its needed. Women these days have serious hairfall issues and you can get back your natural hair even better than before in a very short period without going to costly parlours or medical procedures. If any medical procedure is required in special or complicated cases, it will be done in addition to your treatment at a subsidized rate. Immune system resistance medicines will be given free of cost with the treatment. Treatment is PERMANENT, pertaining to root cause. You can connect with your doctor/medical advisor regularly as and when required over phone, whatsapp, email,chat or any form of video communication whenever required. The doctor will guide you about what details you will have to give for your treatment along with your medical reports, photographs,and any other form of invesigation if required. Please be sure to give complete details to your doctor or medical advisor about past or present records.This maximises chances for guaranteed cure. Please be assured of every detail given by you as STRICTLY CONFIDENTIAL. All this at such a nominal cost. After all, health is priceless,and health is wealth, isnt it.As such a very very small price to pay for your permanent, assured wellbeing in loving care and guidance of a health expert throughout your life! some helpful tips for you . 1. check details of ur symptoms, what happens when you say or feel u have a cold?for eg..sneezing, watery eyes, discharge from nose etc. Be as detailed as possible. note down the color of the discharge, whether thick thin watery etc. 4. simple blood tests like cbc will help to evaluate . However, a physician may want to do more tests depending on the physical examnation,history and systemic examination. 7.a exercise routine like simple jog/walk , and preferably yoga will help your system. Contact BMWHomeopathy Clinic vashi sanpada navi mumbai and get yourself insured against the common cold and all related problems!